Postmaster General John E. Potter told a U.S. Senate subcommittee he wanted to eliminate the requirement to deliver mail six days a week to every address in America. In fiscal 2008, total mail volume fell by more than 9 billion pieces – 4.5% -compared to the previous year, Potter said. And the agency suffered a greater-than-expected net loss of $2.8 billion last year, he added. Potter is quoted as saying that the USPS is “a vital economic engine in our national economy,” that it s the second largest employer in the United States, and that the postal service provides not only jobs but an important channel for commerce. I don’t know the official definition of an economic engine but any business that turns a $6 billion loss doesn’t sound like an engine in good condition. It seems like the USPS needs a new business model. 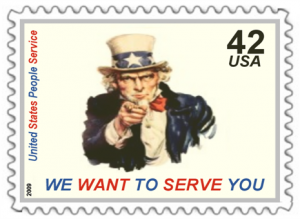 How can the USPS reinvent themselves as a true engine of the United States’ economy? The demand their services is declining so the USPS needs to put their assets to some other value added services. In addition to their physical infrastructure and fleet of vehicles, their most important asset is their nationwide organization of people who know and care about their communities. Here are 10 ways the USPS can become a true economic engine by rethinking what it means to serve their communities from their posts. Community watch. Take a little extra time walking around the neighborhoods to note anything suspicious such as broken windows or unfamiliar faces. The effect of increased patrolmen on crime reduction has been demonstrated, so the effect of spending 1/6th of the time proposed to be cut instead on keeping a watchful eye could be tested. Measure the effect this has on crime prevention, reduction on the burden to the police, the judicial system and the prison system, and then reward these results through government funding of the USPS. Courier and delivery service. Instead of reducing 1/6th of their delivery capacity by cutting Saturdays, why not cut 1/6th of each day for mail delivery and use this 16% capacity for on-demand courier and delivery service within the city or within certain postal codes? For rural regions where there is no bicycle courier service this would save a of traffic congestion, personal time and lost productivity through a small extension of the existing service of the USPS. This would be a high value added service which I for one would be interested in paying for. Minor yard work and landscaping. Find out what cities spend on herbicides, maintenance of landscaping equipment and fuel and cut these costs by having USPS delivery people pull a few weeds every block or so as part of their delivery standard work. Community beautification. This could be painting, trash pick up, minor repairs or anything that can be done within the 16% of the delivery times that the USPS is considering cutting out of their capacity. We could have the cleanest and best maintained cities in the world in no time. The positive knock-on effects of the condition and upkeep of a community on economic development, crime reduction and increase property values are well-documented so in addition to reduced cost of city sanitation services there would be a long-term economic benefit. After school programs. For those USPS employees who like young people and have skills to offer, we would have an army of people to play basketball with kids, tutor them on civics, math, history, reading – anything to spend a few hours keeping kids off of the street and boost education levels while lowering the cost of crime. The USPS already has the facilities which could potentially be used by closing the post offices 16% early, or the USPS employees could go to the schools and after school program centers to provide this service. Care for the home-bound. Delivery groceries to the elderly. Spend some time with lonely people. Do the little it takes to show people who are unable to leave their homes due to health reasons or old age that we care about them and are here to serve. Personal trainers. Offer a service to have people join them on walks on their delivery routes. Walking is one of the best ways to exercise. It is low-impact and requires minimal gear and preparation. Perhaps we could even deputize citizens and let them help deliver the mail on these walks. Help out with odd jobs. Within a well thought out and tested range of services, the answer to a resident’s question “While you’re here, can you help me..?” should be “Yes, gladly.” This could involve anything that takes 5-10 minutes, requires another set of hands and is not strenuous. Billing could be done in a similar way to a utility, or pay-per-use basis with prepaid coupons… or even stamps. Affordable child care centers. This is similar to the after school program but would be focused on helping working families get ahead by providing a safe, low-cost option for them to have their children watched while they work. Kaizen. Spend one day a week working with community members in solving whatever local problems they can. It might be something different every week. Some problem might takes weeks or months but this would not only use the time of these thousands of government employees more productively, it would provide a long-term purpose in developing people who serve at the community post. This is just an initial brainstorm. Should the USPS become the United States People Service then the local communities could decide how best to use the people and resources of their local post office to the benefit of that community. No doubt at least one of these ideas made you laugh “that’s stupid” but the alternative is to eliminate jobs and a vital service infrastructure, or lose another $6 billion. There are many potential objections to the ideas above, including retraining, resistance to change and legal liability. Each of these should be studied not as reasons “why not” but obstacles to be removed through why analysis until a positive use can be made of these people’s energies. Retraining of the people at the USPS will be needed regardless of whether the USPS keeps the exact same portfolio of services with less staff or whether the services are expended to cover some or all of the above. This is an unfair as the governments does many things well, many things only a government should do, and as citizens we are ultimately responsible for making sure that our government is serving us effectively. Ours is a government “by the people” and we should not ask if these are things we want “the government” to do but how we want to serve our community. WE are the government. Some of us are simply luckier than others and already work for a government that pays us to serve the people. The USPS can be reinvented as a true economic engine of the United States with a bit of will, courage and creativity and perhaps some more and better ideas than the ones above. I will admit I find myself instantly confused by this selection of suggestions. While I do not think they are stupid, I do feel that they are outside of USPS’s purported core competency. For a service company that is stumbling in their own core service area to look at branching out seems awkward at best. 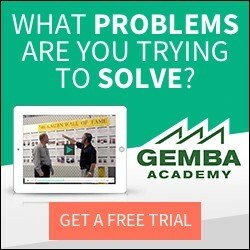 I do like the idea of self improvement, but I would expect it to improve in areas that do not significantly alter focus away from profit generation. Thanks for your comment Austin. I’ve always been interested in how people think and talk about core competencies. Frankly think most organizations make decisions about what business they want to be in without understanding what core competencies are. Valuable to the customer, applicably to a wide range or markets and difficult to imitate – it’s fairly simple and two-thirds of this is NOT about you, the company but it is about the CUSTOMER. That is really the entire point of this article. It doesn’t matter that the USPS delivers the mail. Others can do this and the value to the customer has been steadily eroding with the rise of electronic mail and alternative mailing services. Competencies are learned over time by interacting with customers and refining skills through practice. Arguably, the USPS has a certain knowledge base about their communities and the people in it that is hard to imitate. There is also a certain trust in their brand and their organization that has been built up over the years. 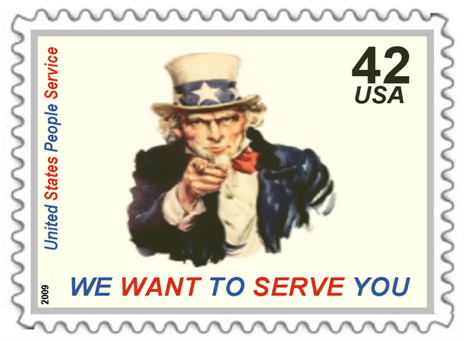 We have a relationship with the postal service unlike any other government agency we interact with. A significant retraining effort will be needed for any of the 10 ideas to be feasible, but the USPS does have customer intimacy, wide access to markets and an infrastructure that could only be imitated by the police or similar government organization. Cutting service may be a short-term cost saving but it will only get the USPS in a few years where the automotive companies are today. Through a partnership with the community they could fundamentally rethink their mission of service. I think this is a good idea. This would be the U.S. government performing a service for the people, by the people, exactly what its role is supposed to be. The USPS is the most visible, personal extension of the Federal Government. First I must ask how much value is there in Saturday delivery? At least fir residential areas? ?I’m curius. Partnering with local grocery stores to do a Saturday food delivery sevice isn’t a bad idea. However I think ups or fedex would be better pick since they have larger vehicles and are more used to carrying bulky packages. Many of the ideas presented don’t really leverage the infrastructure of the post office some even require lots of extra equipmeent tools and facilities. The people of the post office could do many of these things better as part time jobs. Maybe there could be a website where interested companies can advertise part time jobs to the post office employees.